One of the first marine national parks in Thailand, Ko Tarutao is the epitome of environmentally sound tourist management. The only accommodation in the park involves small, ecofriendly government-run cabins and longhouses, and great emphasis is placed on preserving the natural resources of the area. 6 Days in the Far South – Tarutao is only 5k from Langkawi, Malaysia. 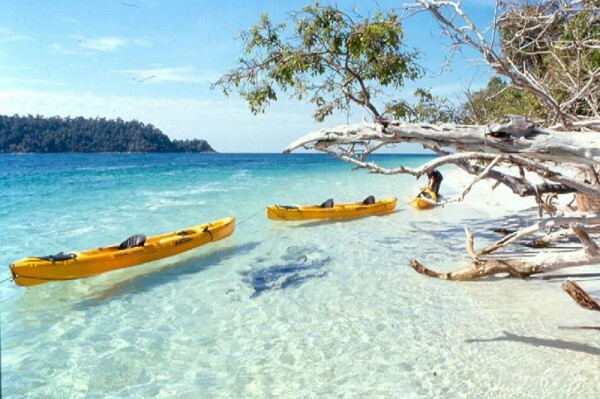 Koh Tarutao is a large island 25K long that is heavily wooded. The West Coast is sloped with several mangrove estuaries, forested beaches and sea cliffs. The East Coast is cliff-cut with several offshore islands.